It is unfortunate but there are people in our work environments who think smiling is non-value added. I realize that smiling is something that comes more natural to some than others BUT really, what’s the point walking around with a miserable and constantly stressed looking face? Is it proven that misery brings great results? I don’t think so. An angry face doesn’t serve anyone and it certainly is a downer for productivity. Wherever I go I make it my mission to make people smile. 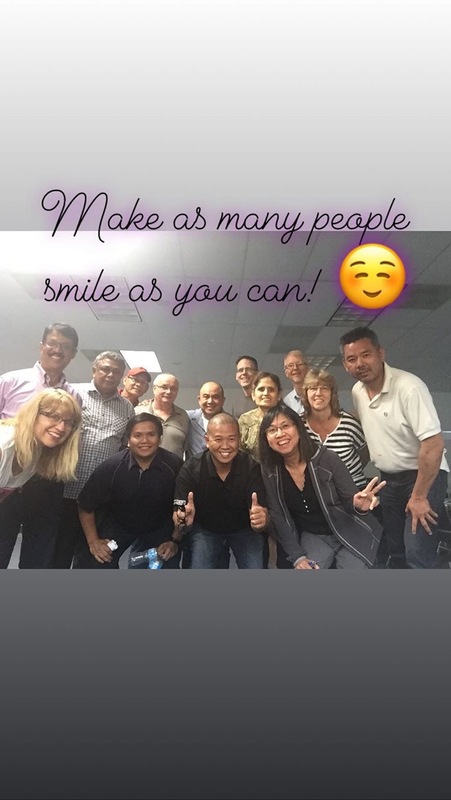 May it be in my workshops, on one of my runs, in the grocery store, in the subway or in the car – I greet, I smile and….. most of the time I get rewarded with a smile in return. It is a pretty rewarding experiment if you are tempted to try. If you think smiling is only something that people should do outside of work, think again. Smiling is great for your immune system: Studies have shown that on a biochemical level, smiling releases endorphins and endorphins are natural painkillers. Smiling is a proven stress relief: why would you risk a stroke or a heart attack if you can prevent it with a smile? Smiling makes you happier: who doesn’t want to be happy? However, smiling also releases serotonin, and serotonin acts as a natural anti-depressant. You will sleep better and be less moody. Smiling definitely helps you to look younger: my mom used to say that we all get the face that we deserve when we get older. Smiling is a key ingredient to build meaningful relationships: people like to do business (or hang out) with friendly and likeable people. Smiling makes you feel really good: try it; it is pretty difficult to smile and to feel terrible at the same time. For me, smiling is a lot of fun, and fun has always had a positive impact on my productivity. Why not give it a whirl? It may grow on you.